1. Put on pyjamas and bed socks. 2. Pour a mug full of milk into a pan and heat slowly. 3. 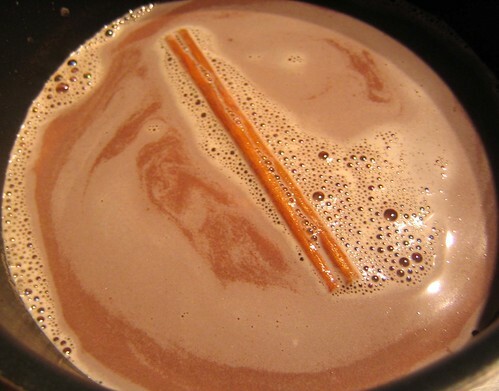 Add squares of the chocolate to taste, the cinnamon stick and a generous dash of contreu or brandy. 4. When the chocolate has melted and the milk has heated through pour the hot chocolate into a mug. 5. Add a little sugar. 6. Put the film on. 7. Wrap self in blanket and sit back with the hot chocolate.